The story of Mismaque began with a meeting between Guy Mismaque and Paul Guitton at the Paris Motor Show 1956. They meet at the stand of the small sporting car company, Brissonneau & Lotz where Guitton was working. Paul thought Guy was a potential client and engaged him in a lengthy conversation in view of a hopeful sale for one of their little sports-convertibles on display. 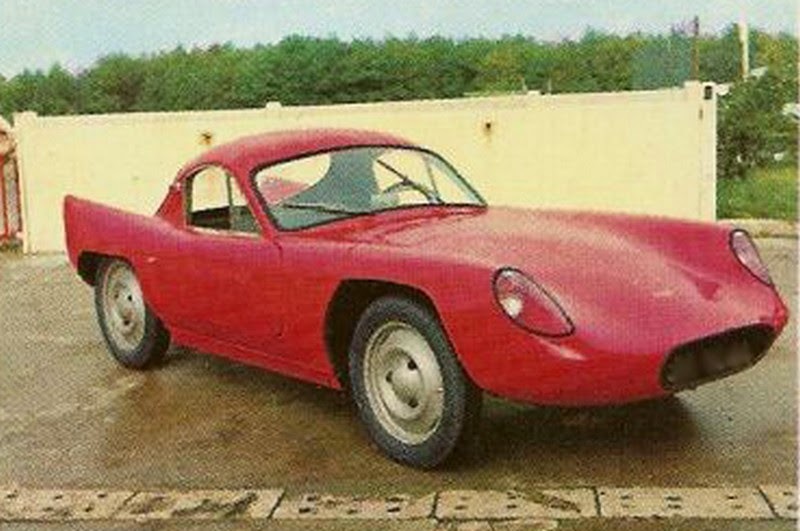 However, after checking the car more fully, Mismaque started to describe how he would have seen this car – with a multi-tubular frame, a more streamlined body and a motor mounted further back. For some time Mismaque attempted to convince Guitton that he could build a more efficient and less expensive car in its own way. Fourteen months later, he presented to Guitton the plaster model of his Mismaque Sport. Over the following three years, Mismaque continued to upgrade his small coupé and send material on the improvements by post for Guitton’s perusal and comment. Work continued like this to 1959 when the plans were finally finalised. At this point Guitton, an automotive engineer himself, made suggestions for further production oriented improvements, and for some practical simplifications that would also save further weight. This first car at least was Citroen 2CV powered and must be a contender for the world’s lightest ‘production’ car… Later variants received tuned Simca engines of around 1300cc. Naturally, they were heavier too yet still light enough to keep someone like Colin Chapman happy should it have been turned out by his Lotus factory. 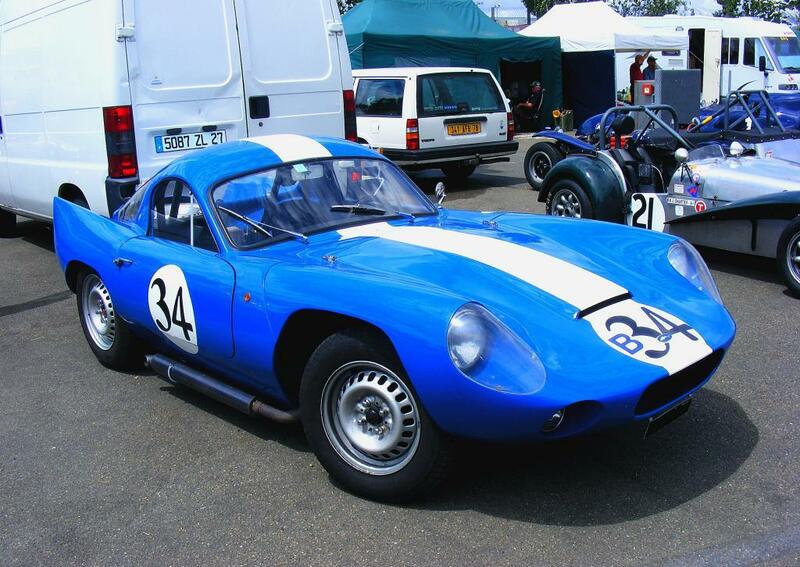 Just how many were build – just a handful at the most – remained a mute question until I heard more recently from Guy’s son, Franck… There were even suggestions that the blue car pictured is just the 2CV prototype re-engineered to take the bigger Simca engine. If this was true, it would have required a pretty comprehensive reconstruction both structurally and in the suspension as the 2CV version is FWD while the Simca is RWD! The rear bodywork is different too – reflecting the pictures in the later Mismaque brochures rather than the original 001 car. And now to Franck’s comments; as he wrote he told me Guy was now 82 years of age. The number of cars built was either 7 or 8. Originally “Citroen gave its word to provide my father and his father, a vet, with engines but they never honoured their word and this was taken as a major betrayal”. Their connection with Simca was short lived too, as shortly after making a deal, Chrysler bought out Simca and that was the end of that. Franck recounts how, when his parents took a road trip in the car through Spain and Portugal in 1963, it created a lot of interest in the villages with its small size and low height; “they had never seen such a thing airing slightly above the cropped fields, almost invisible”. And talking about size, no dimensions are quoted anywhere I could find, but by scaling them from the superimposed profiles seen in the main article, it would appear that the height is a mere 42.5” (1080mm), length just 139.7” (3547mm) and wheelbase 82.8” (2103mm). Included now are new pictures of one of the first 2CV cars – note; with bonnet scoop and driver’s side side-pipes (see red car pictures in main article). Note also, a quoted 300 kg or 660 lb weight with 32 bhp – about the same power to weight as an MGB.